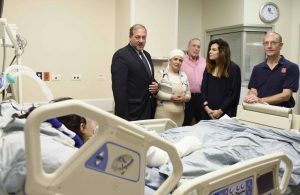 “I thank you for giving us the opportunity to contribute to your sacred work of lifesaving,” said Rabbi Yechiel Eckstein, President of the International Fellowship of Christians and Jews (IFCJ) at the Hadassah Medical Organization’s May 1st dedication of the 13-bed general Intensive Care Unit (ICU) in the Sarah Wetsman Davidson Hospital Tower. 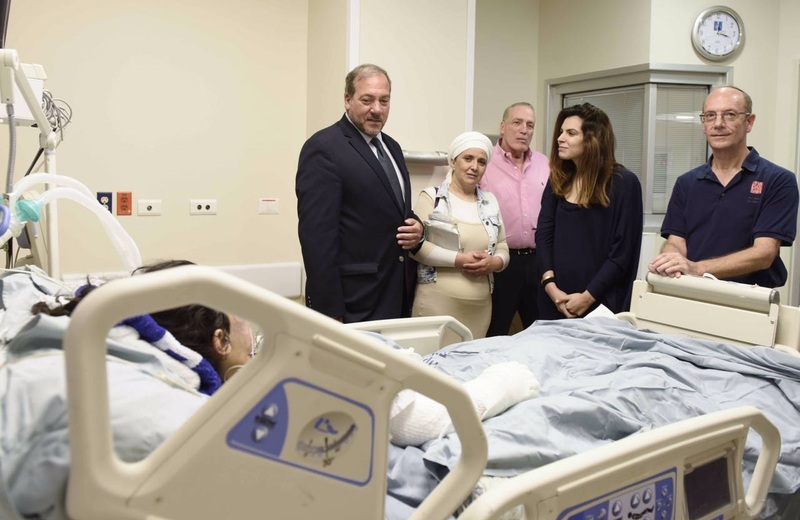 Two patients from the terror attack on a Jerusalem bus last month were among those Rabbi Eckstein visited with Prof. Vernon Van-Heerden, head of Hadassah’s ICUs, and Division of Nursing head of ICUs, Naela Hayek. Former Hadassah National President and Tower Building Chair Bonnie Lipton opened the dedication with a reminder of Jerusalem’s indestructability. She thanked Rabbi Eckstein for the organization’s respect for humanity and for showing unstinting solidarity with the State of Israel. 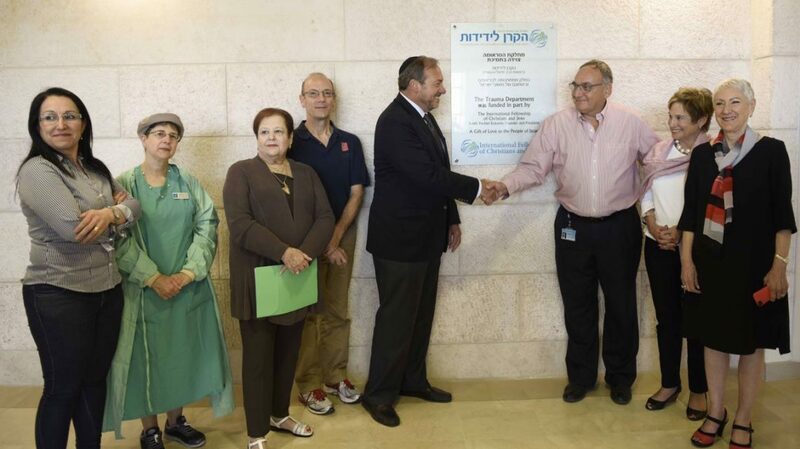 HMO Director General Prof. Zeev Rotstein said he knew that IFCJ gave its financial support, not for recognition, but because of a heart filled with love for Israel and the Jewish people.